Linh-Dan Pham at the photocall of "De Battre Mon Coeur Sest Arrete" during the 55th Annual Berlinale International Film Festival. Aure Atika, Romain Duris and Linh-Dan Pham at the photocall of "De Battre Mon Coeur Sest Arrete" during the 55th Annual Berlinale International Film Festival. 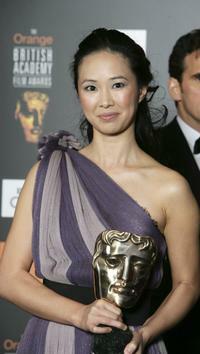 Linh-Dan Pham at the opening ceremony of 18th British Film Festival. Linh-Dan Pham at the Orange British Academy Film Awards (BAFTAs). Linh-Dan Pham and Tonino Benaquista at the 31st Nuit des Cesar France's top movie awards. Linh-Dan Pham at the 32nd Cesars French film awards ceremony. 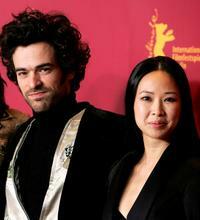 Romain Duris and Linh-Dan Pham at the photocall of "De Battre Mon Coeur Sest Arrete" during the 55th Annual Berlinale International Film Festival. 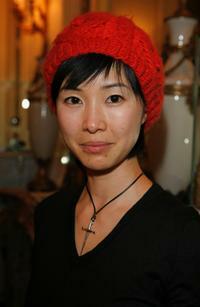 Linh-Dan Pham at the 18th Dinard British Film Festival. Pascal Elbe and Linh-Dan Pham at the Espace Glamour Chic gift lounge. Linh-Dan Pham at the Espace Glamour Chic gift lounge. Linh-Dan Pham at the Elie Saab Ready-to-Wear A/W 2009 fashion show the during Paris Fashion Week. Jacques Audiard, Linh-Dan Pham and Tonino Benaquista at the 31st Nuit des Cesar. Linh-Dan Pham at the 8th Asian film festival. Linh-Dan Pham at the 31st Nuit des Cesar.